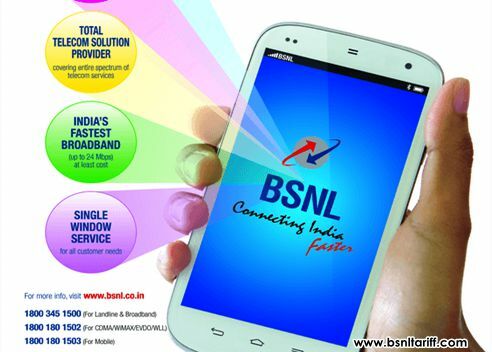 BSNL has announced 100% discount offer for new BSNL connections under Broadband, Landline, CLSNP and Combo services in all Telecom Circles. State run Telecom Company Bharat Sanchar Nigam Limited (BSNL) waives off installation charges upto 100% percent for those who subscribe to BSNL Landline, Broadband, CLSNP (Closed due to Non-Payment) and Combo plan services under BSNL services on PAN India basis. As per latest information, BSNL has decided to offer discount on Installation charges upto 100% as promotional basis for a period of 90 days from 1st May, 2016 onwards in all Telecom Circles for New BSNL connections. This offer would really benefit for those customers who wish to take re-connection of disconnected Landline/Broadband services due to Non-payment of bills. BSNL is offering Free Installation without any extra/hidden charges during this offer period which starts from 1st May, 2016. For new Landline connection BSNL waives off 100% installation charges. It means installation charges of Rs.600/- (For both urban and rural area customers) will be waived off for new landline connections registered during this scheme. For New Broadband connection BSNL waives off 100% installation charges. It means, installation charges of Rs.250/- (For both urban and rural area customers) will be waived off for new Broadband connections registered during this scheme. For CLSNP (Closed due to Non-payment) customers for re-connection, BSNL waives off 100% installation charges. It means, installation charges for Landline Rs.600/- and installation charges for Broadband Rs.250/- as well for Combo plans installation charges of Rs.850/- will be waived off for re-connection during this scheme. The above promotional offer will be implemented with effect from 1st May, 2016 onwards and will be available for a period of 90 days upto 29th July, 2016.